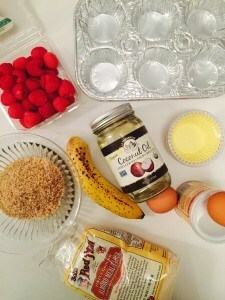 This Muffin recipe is heavenly . It is hard to believe that it does not have any sugar or dairy. 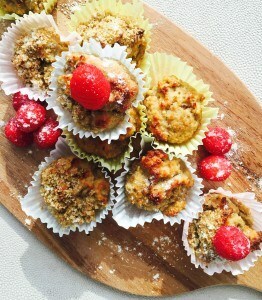 (always a good reason to eat more muffins 🙂 )You can add your favorite fruit to the mix ,it can be Banana (our favorite ) blueberries or dried fruits.If you are not on Paleo diet you can add Chocolate chips . 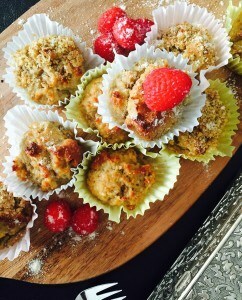 It is super easy to make and takes only 5 minutes to prepare and 20 minutes to bake. Optional Flavorings: 1 teaspoon any extract you like . 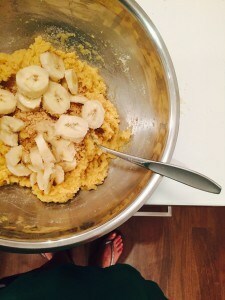 Optional Stir: 1 banana or ( 1 cup of blueberries, diced peach ) or ½ cup dried fruit/ chocolate chips . Preheat oven to 350F. 12 cups in a standard. Add the wet ingredients to the dry ingredients, stirring until blended. Now it’s time to add your fruit . Divide batter among prepared cups. In preheated oven bake it for 18 to 20 minutes until it is golden brown on the center and edges . Remove it from oven , let it cool down for 30 minutes and enjoy it. 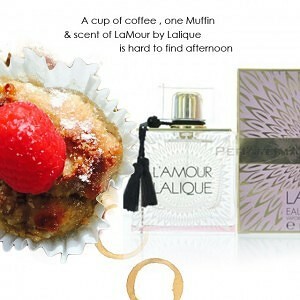 Complete your afternoon with a cup of coffee a muffin and scent of Lalique Lamour perfume for women .